The Crystal Cove area of this state park has several options. 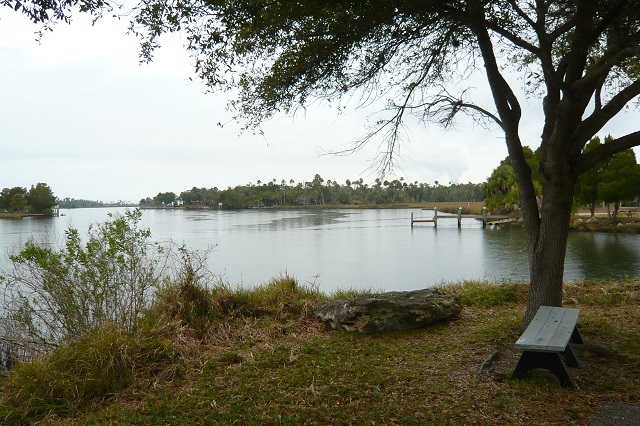 The Crystal Cove Trail starts at the day use fishing area (locally known as the “Mullet Hole”) and follows a limerock path around a freshwater pond, through scrubby areas and mixed pines/hardwoods down to a salt marsh and canal which connects to the Crystal River. Shorebirds like Wilson’s Snipe and Spotted Sandpipers, plus Clapper Rails, Least Bitterns and numerous songbirds are possible at this location. Mississippi Kites frequent the area in summer. A second trailhead and parking area lie farther south. The Eagle Scout Trail, which starts almost directly across the road from the “Mullet Hole” entrance, offers hydric hammock good for migratory songbirds in spring. You may also stroll and bird along the wooded Sailboat Ave. (stay on the shoulder) down to the park office and visitor center. Pontoon boat tours leave from the dock here where you may spy manatees, Red-breasted Mergansers, Ospreys and much more. You can also launch your own kayak or canoe here. For an even wilder experience, take the 7-mile hike/bike trail loop which begins at the end of W. State Park St. (this also connects to the Eagle Scout Trail) and runs through flatwoods, marsh, hammocks and swamp.